Having a good Business Plan, a solid pitch deck and being well prepared landed a client of ours $87 million USD. Yes, that is a lot of money and he secured that funding with a Plan2Profit 20-page Strategic Business Document. Again, 20 pages got him 87 million dollars. In general, when you present your business plan to an investor or lender, there is no guarantee how much money you will receive if any at all. 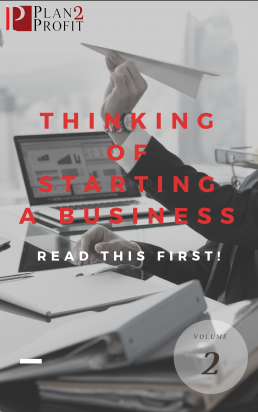 Raising money for your new business or for your existing business is a complex process and it is very time consuming; but if you do it the right way, you will be in a better position than most others. The number one thing you must always remember is that your business plan is for the reader. Let’s walk you through the process we followed in dealing with this particular client. Our client was in the oil and gas business in the Midwest and he had leased a large tract of land in Indiana that had massive reserves of untapped methane gas. Using new horizontal drilling technology he had an ambitious plan to extract the methane and either sell it as compressed gas, convert it to fuel for sale or convert it to methanol to power an electricity plant. He also had plans to build a self‑sustaining micro-grid facility that could deliver both clean electrical power and year-round organic produce from a large greenhouse operation. Before he employed our firm to help him with his business plan, he had retained the services of two other Business Plan Writing Firms to help him with the project. They both produced massive documents for a large fee that no reader would ever finish or could understand. The writers didn’t understand the business themselves, so just crammed their plans with lots of useless information that no reader could ever fight his or her way through. We were then contracted by the business owner for the same purpose as the other two. We look at what we do differently. We clearly understood what the client wanted. He didn’t want a business plan, he wanted to get funded. The business plan was a means to an end and not the end in itself. After working together with the owner, we produced a Business Plan that secured his business a first round of funding of $87 million from investors in China. They said that when they read the plan they understood what he was trying to do and how he was trying to do it and the financial projections were easily understood. The process with this client started with a simple “discovery call” to help us to understand his business, where he was at and where he wanted to be. I challenged his assumptions, and didn’t stop talking to him until I understood the business clearly. Heck if I didn’t “get” it, how was the reader of the plan ever going to “get” it. I asked him a series of questions designed to identify his revenue streams, projected sales, and costs of production, labor costs, and all other associated expenses. That then enabled us to develop the first draft of his financial projections. Our goal was to develop a financial projection that was representative of his unique business idea and one that someone who didn’t “know” the business could understand. By building a quality financial projection for the business, we proved to the reader – and the business owner – that the project was viable and sustainable. It also proved that his business had the ability to pay down the debt it would be carrying. Building the Financial piece with our client was a collaborative effort. In the end, our client understood where each and every number came from. This was important because he would have to defend his numbers in front of a potential investor. We then identified the money he would require to start his business and identified those costs down to the penny. If you are asking someone for money you can be sure they want to know how it will be spent. Given the amount of information we were given about methanol, combined heat and power and biogenetic gas, we could have easily written a 35-50 page document; but that is not what an investor is looking for. Instead, we wrote a clear and concise document that allowed the reader to know exactly, who they were, what they did, what they were looking for and it explained things to the reader in layman’s terms with no jargon and no silly graphs or pie charts. We included 5 main sections in the written part of his business plan. An Introduction that summarized their business concept and model. The Purpose of the Strategic Document which was for funding, and what size of investment they were looking for and under what terms. A description of the founder and his team and what skills they offered to the project. A comprehensive two-year financial forecast and a summary five-year projection. A clearly presented elevator pitch. Remember, as a business owner pitching your idea to an investor or looking for a loan from a bank, you are not trying to win a business plan writing award; instead, you are trying to secure funding. If you keep that in mind as you build your plan you will keep on point, precise and concise.